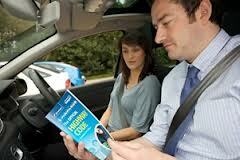 Are you thinking of becoming a driving instructor in the Bristol/Gloucestershire area? Do you want to know more about the benefits of this rewarding career? At Robbie’s we have the knowledge and expertise to provide you with full training from beginning to end. We can provide the back up and flexibility to suit your personal needs. 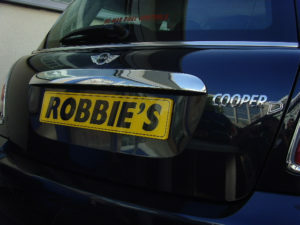 Robbie’s Driving School is Bristol’s market leader and certainly big enough to cope. However we are also small enough to care about you personally. You definitely won’t get treated as a number as might be the case in some large national organisations. Best of all, when the time comes, we provide you with a diary full of driving pupils to maximise your earning potential. 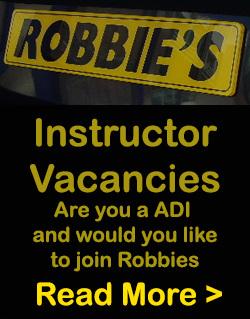 Placement as a Robbie’s Driving School instructor is guaranteed upon qualification. Placement is also guaranteed as a trainee instructor with our earn while you learn scheme. If you are interested in more information, please ring me on 07882 685577 or fill out the on line enquiry form. Training in this valuable skill is not as expensive as you might think – it can be done with minimal initial outlay. We do not ask for a large initial payment as is the case with most organisations. In just a few months you could be on the road earning money and teaching people to drive – with the opportunity to earn £35,000 plus per year! Please note that to be a driving instructor you must be over 21, have a clean driving licence and have at least four years driving experience. Also good communication skills are important. Please feel free to contact us! I will be very happy to meet you personally to discuss your plans and make every effort to accommodate them.